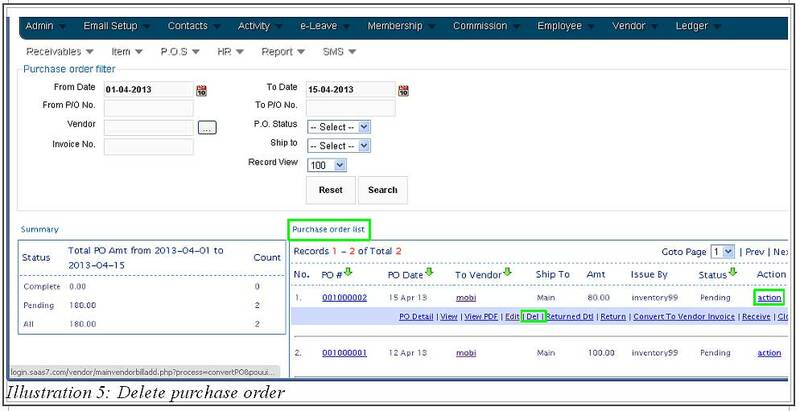 BMO Online Inventory Malaysia allows you to create a new purchase order as well as editing and deleting a purchase order. 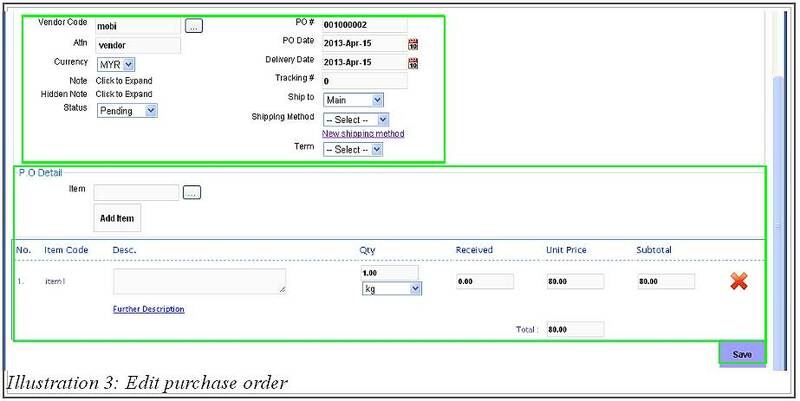 Purchase order is used when you would like to buy items from a vendor. Therefore, if you would like to cancel a purchase order, you could either edit or delete a purchase order. Thus, in this tutorial, we will guide you on how to edit and delete purchase order. 1. 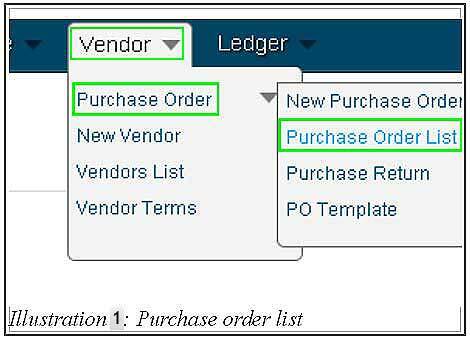 Go to Vendor > Purchase Order > Purchase Order List to edit or delete a purchase order. 2. Next, after loading the Purchase Order List page, you will see there is a list of purchase order. Click on Action > Edit to edit the purchase order. 3. You are now ready to edit the purchase order’s information. After finishing editing, click on Save button provided to update the purchase order. 4. A notification message will appear to inform you that the purchase order has been updated. 5. If you would like to cancel a purchase order, go to Purchase Order List page, and click on Action > Del to delete a purchase order. 6. After the Del is clicked, an alert message will appear for your confirmation.